AERGO is an enterprise ready blockchain protocol, combined with a development platform and marketplace. 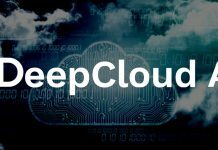 They are aiming to build a distributed cloud ecosystem for enterprise-grade application development – offered on public, private and hybrid blockchains. AERGO has three main functionalities, including the AERGO Chain, Hub and Marketplace. AERGO technology is based on COINSTACK from BLOCKO , which is a leading blockchain technology and enterprise IT-integration services company, whose blockchain systems have been utilized by over 20 enterprise customers and 25 million users. BLOCKO is preparing and developing some of the key core technologies for AERGO, along with providing support in all facets from its inception through to adoption. Phil Zamani – 20 years of open source and cloud business experience, Sales/Business development experience, head of big data and cloud business models at Banco Santander, Senior VP of Cloud business at Deutsche telecom. COO of BLOCKO. Hun Young Park – Large scale and high-performance software design Experience, data platforms and AI – KAIST, Computer science. AI Lab. CTO and Director of Research Development at BLOCKO. Roderik Van der Graaf – Aerospace Engineering and Master’s Degree in information and Technology. Founder of investment and advisory blockchain firm Lemniscap with experience in venture capital and private equity along with derivatives. Advisor for BLOCKO. Won Kim – 9 Years of Experience in Relationship Data base management systems and 6 years R & D of distributed systems. CEO of BLOCKO since 2014. Jane Lee – 7 Years strategy consulting at Accenture – specialising in digital transformation and technology commercialisation. Chief Strategy Officer for BLOCKO. Alison Shim – 5 years strategy consulting at Accenture – specialising in business development. Chief Innovation Officer for BLOCKO. Mason Park – 7 years’ experience in Advertising and Marketing – being an innovator and expert in branding, marketing strategy and execution. Cameron Miraftab – 4 years’ experience in innovative strategy and venture capital. MSc International Finance and Economics. Director of Business Development at BLOCKO. Seona Kim – 3 years IT consulting and cloud management experience, strategy project manager and researcher for blockchain market. Translator: Korean-English. Business Development Manager for BLOCKO. Han Kim – 5 years’ experience in public relations along with cryptocurrency dynamics and ecosystems. PR Manager for BLOCKO. Sung Jae Woo – 9 years’ experience in relational Data Base Management Systems, Input/output subsystem development. PHD in Physics – Specifically Computational Physics experience. Principal Research Engineer for BLOCKO. Kyung Tae Lee – 12 years’ experience in Data Base Management Systems. Computer and Communication Engineering degree from Kangwon University. Principal Research Engineer at BLOCKO. Pierre- Alain Ouvrard – Background in Electrical Engineering along with experience in Python and off-chain scaling. Solidity developer and works in research and development for BLOCKO. Vincent Zhou – FBG capital founder partner -Experience in digital assets trading and investment, invested in many blockchain companies and projects along with being a crypto hedge fund manager in Asia. Senior IT specialist for IBM 2008-2012. Yun Woo Park – 10 years + experience in Relationship Distributed and Data Management Systems. Degree in Computer Science from Korea University. Principal Research Engineer for BLOCKO. Firstly, it is good to see most of the Team profiles have links to LinkedIn for verification. The board members have broad experience in data and cloud business along with blockchain advisory through their strong work links with BLOCKO. The committee support compliments the board with very helpful experience of strategic consulting and data management systems. The experience of both the board and committee seems relevant to the AERGO project and builds our confidence in the team being capable of successfully turning the idea into reality. The business team seems like it lacks a bit of depth at first, however with the advisors and board members experience in cloud business and business development it becomes quite impressive, along with the business members experience in BLOCKO. The team does however seem to be lacking marketing experience and members and it would be good to see this side expand leading up to the expected crowd sale in August. The technology team has very solid experience in software development, cloud business and databases – particularly DBMS. However, we think there Is a slight lack of knowledge of diversified technologies. The BLOCKO team experience adds a lot of overall weight, specifically after building a successfully working blockchain Coinstack, with clients using it and paying for its services. Most Smart contract platforms and marketplaces neglect incorporating critical infrastructure for the development and hosting of dApps, resulting in slow transaction speeds, high operation costs and incompatibility with legacy IT systems. AERGO aims to allow enterprises and developers to effortlessly design, build and deploy their own blockchain applications within the cloud. With the option of private, public or hybrid blockchains, AERGO is offering developers a tailored and flexible solution. Enterprise-grade blockchain platforms are not a new idea, however AERGO aims to differentiate itself through its speed, easy- use platforms and IT/Integration support. Additional to the AERGO Chain to further differentiate itself there is the AERGO Hub and Marketplace. The Hub offers a decentralized version control platform for software development and it maintains the integrity of private repositories whilst catering for Public repositories as well. The AERGO marketplace can help in the adoption of AERGO Chain in the market by allowing for developers to purchase or upload their own code to the AERGO marketplace and use it in compliment with the HUB and Chain essentially making AERGO a ‘one-stop-shop’ for development. The project Aims to leverage and build upon BLOCKO’s existing Coinstack platform giving a large advantage through receiving a comprehensive framework for developing, orchestrating and deploying dApps on secure and high-performance cloud architectures. There is a large market for AERGO with a high demand for dApps requiring easy and scalable blockchain solutions. High competition exists but room for competitive market share is apparent. Global IT spend was $3.5trillion USD at the end of 2017 and is expected to exceed $3.7trillion by the end of the year in which is a target market that blockchain is looking likely to disrupt more and more in the years to come. In the cryptocurrency market. competition is plenty. Including specifically: QTUM, ICON and AION. There are a few downfalls of existing blockchain solutions, with blockchain hard forks usually causing instability and vulnerability to attacks, Price volatility of Tx fees leading to uncertain OPEX and the coding is usually specialist and everyday developers cannot utilize them readily. AERGO is aiming at gaining an edge over the competition through providing the first platform with key features and concepts that are familiar to full stack developers. It allows for merging and branching with it appealing to all developers and encourages collaborative development. Its main difference points being the advanced but easy to use technology and fast public/private blockchain cloud architecture. The competitors, although not directly related have been very successful. For example, ICON has seen over 12x gains in USD terms from ICO to today’s bear market value and over 100X in the peak of the market. QTUM has seen over 25x gains since ICO. The combined market share of similar projects is huge – over $100b and growing. Other Competition includes but is not limited to ; Current IT systems, integration systems, Data encryption etc. with many companies offering enterprise blockchain solutions including IBM, SAP and Microsoft. Most of the current centralised enterprise solutions are not doing the job and need a more efficient, scalable and secure solution, Although the Blockchain services offered by these large tech companies aiming to solve these issues will be a threat in the market. The competition in the AERGO Hub sector relates to GitHub and Bitbucket which are more centralised software development platforms for developers and the decentralised AERGO Hub provides an innovation to this. 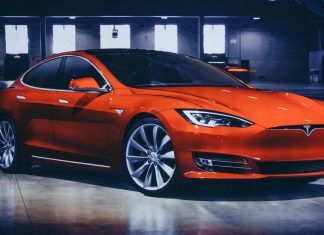 The ability to be adopted and take market share in a competitive market will prove to be difficult. AERGO plans to use and leverage components of BLOCKO – who will contribute several of its existing products, services and know-how to the platform, along with leveraging some of its existing customers who are interested in the capabilities of AERGO. BLOCKO’s existing enterprise customers, marketing and direct support for the AERGO based implementation, research and development and IT integration support will help combat challenges that arise. There is also an issue regarding the pressures on providing data security and there must be a stringent plan for keeping the data immutable and auditable. The whitepaper is written by Blocko in support of the project and is Informative and structured. There is a ‘Business Paper’ which explains the three main functionalities of AERGO, along with the Token model, distribution of funds, roadmap and execution plan. The ‘technical whitepaper’ along with ‘Smart contract whitepaper’ have just been released and are detailed in explaining the underlying technology including the SQL smart contract Engine, Consensus, Repositories, scalability solutions and more. AERGO’s main partnership with BLOCKO gives support of marketing, existing customers, technology, integration and research. It is the foundational element of the protocol linked to many of the paying customer enterprises of BLOCKO and can help AERGO be marketed to a large audience. No other partnership mentions currently or future dApps pending to use the AERGO platform. FBG capital, GBIC, Lemniscap and more have all invested in the project as early investors. Although this is not the first project to come to the table with an enterprise blockchain solution, AERGO seems like it is positioning itself well with the aim of being easy to design, build and deploy dApps along with linking between private and public blockchains. The idea is very interesting consisting of the AERGO Chain, Hub and Marketplace. dApps are on rise exponentially along with the demand for blockchain platforms, however often do not perform as well in a bear market. Considering the market cap and growth of competitors – AERGO Chain alone has massive potential, now add the hub and marketplace! The challenges of adoption in all three uses cases of its functions will be difficult but the BLOCKO experience, support and partners will help, and its differences and advantages seem to stand out against competitors. GitHub has recently been acquired by Microsoft and worries of it being centralized may also lead to an open market share for the AERGO Hub to capitalize. We believe the partnership with BLOCKO will prove to be priceless. The support and technology will put AERGO in a position to be adopted particularly in the Asian market – However Western markets need some work done regarding marketing. FBG capital and Lemniscap are two promising capital firms adding to the demand for this project. AERGO has three major architectural functions and utilizes blockchain in all of them. The AERGO Chain is a blockchain designed to mitigate issues with current public blockchains. 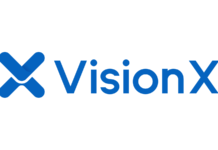 It uses an SQL based smart contract platform along with a distributed version and concurrency control using Delegated Proof of stake as the consensus method. AERGO Chain claims 1 million plus Tx/s with side-chain technology. AERGO Hub – a web-based blockchain hosting service for handling separate independent private blockchains based on the AERGO Chain. It brings to life supporting services such as the AERGO repository, Smart oracle and micro services. AERGO Marketplace- enables the sale and purchase of P2P computing assets such as storage, computing power, algorithms, contents and more. Regarding core value propositions of blockchain technology AERGO utilizes many. The AERGO Chain, results in cost savings and a higher speed network for enterprise businesses. The AERGO Hub removes the intermediaries and decentralizes the development of software whilst offering a secure environment. The AERGO Market Place creates new Digital Relationships along with cost savings through removal of intermediaries and providing an efficient system market. Not released yet. Alpha Version with SQL Compatibility Q2 2018 (Delayed) expected soon and the Beta Version Q3 2018. AERGO Tokens are Intended to be the medium of exchange within the AERGO system. Granting the owners, the right to certain services available within the AERGO ecosystem. In a business sense the tokens are used for payment methods of the AERGO HUB services, for services and assets on the marketplace and for the AERGO domain. They are transferrable within the platform. The current AERGO token holders can be used to access and purchase products and services on COINSTACK v4.0 with the Mainnet for AERGO expected to go live in Q1 2019. In a technical sense they are used in DPOS consensus algorithm and running smart contracts AERGOSQL. Lack of reliability: Stabilizing volatility in transaction fees, Hard forks increasing vulnerability of the IT network and critical business failures. Integration Difficulty: Integrating blockchain into a traditionally complex system can be very difficult, costly and risky. Software Development Difficulty: New programming frameworks and languages – complex to understand and takes time and resources to learn, enterprise blockchain should be easy enough to understand and to program. Scalability Problems: The need for both horizontal and vertical scaling solutions to meet demands that are gradual or sudden. Interoperability constraints: Specialist tools, IT integration, know-how and deployment skills to use – needs to be simple. AERGO aims to solves all these challenges and make the simple – easy to use blockchain solution for enterprises with familiar functions and concepts for full stack developers. There may also be issues regarding the DPOS Consensus method foregoing decentralization for scalability enhancements. The use of Blockchain in AERGO’s project is impressive. The AERGO Chain: using the advanced scalable blockchain with choice of running public/private/hybrid network with privacy features. The AERGO Hub: Offering a decentralized potential solution for strong open source control systems which currently is very sought after, And the AERGO Marketplace: offering a marketplace for third parties to market their products and services to users of AERGO. However, their Smart Contract SQL is not actually new as many previous projects have used them and although Off- chain scaling solutions are the current ‘need of the hour’ , they are more suited for security token offerings. With no GitHub and no prototype released yet it is hard to analyse if the technological promises made by AERGO are being fulfilled. We will see in time if the team can provide the technology as expected. It is promising, and we can look at the COINSTACK technology as a base minimum with AERGO as an upgrade. We will be able to see if AERGO solved the technological challenges mentioned with the release of the prototype and technology soon. Just seeing them mentioned in the whitepaper is a promising sign for a project along with an execution plan. The token utility is very impressive – being used in multiple ways and needed in the ecosystem. The demand for the token as it is required in the chain, hub and marketplace should see a growth in value along with usage. However, the token will only have utility if the product works and the success factor lies not in the realm of blockchain, but more so the business. 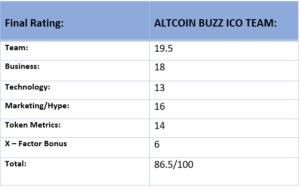 The main reason for AERGO Rating being penalized in this instance is the lack of prototype and available technology to assess. Upon release this could very well be much higher. Website has recently been updated along with the addition of a News Section and streamlined interface. No Facebook, 2000 + Twitter Followers. Tweets are relatively infrequent along with low interaction. LinkedIn has employee information accessible however that is all. The Medium Account is also new but more active with updates. Popular ICO reviews with Ian Ballina (80 Rating). 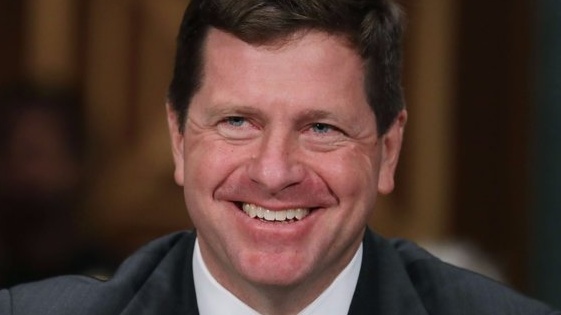 Lack of AMA’s however have recently done an interview with CNBC on July 19th. Media mostly through Medium. There are 26k+ Telegram Users and an Active community. Topic of conversation ranges – Community helping amongst themselves and admin answering questions regarding the crowd sale and the project. Official announcement channel with 6k+ members. Telegram groups have seen strong growth in numbers particularly over past 2 weeks. Telegram channel has 26k which is growing at a steady rate. Not much marketing yet which has kept the project relatively under the radar. The private sale has sold out however and there seems to be a slow build-up of hype in the ICO community. Market sentiment is positive with positive ICO reviews by influential characters in the industry. Search trends are up at the moment. Large spike compared to Early May. The social media side to AERGO seems a bit quiet, with no Facebook, an inactive twitter account and followers. In saying this, most of the social media channels are new as the project ICO is in August. We will Keep an eye on it. Medium looks promising with more consistent posting. AERGO has had lots of positive reviews in the ICO review community and is trending in the current prospective top ICO’s around now in TOP 7 ICO, Ian Ballina and more. Would like to see greater PR and to see some AMA’s. Recently AERGO have appeared in Seoul and Shanghai along with an Interview with CNBC which is promising. The marketing is lacking a bit for this project at the moment however this is not necessarily an issue with them selling out the private sale and looking like a large interest for the ICO. They do have the benefit of BLOCKO and its users along with marketing capabilities however it needs to build its own especially in the Western countries where BLOCKO won’t be able to help as much. 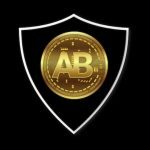 Telegram followers are active, seem organic and the community is helpful. The telegram users have been increasing steadily – sitting at around 16k just over 2 weeks ago. Admins respond in timely manner and respond with good information. This is the biggest channel of communication for AERGO currently and we would like to see them branch out this community using a few other social media platforms. Market sentiment is positive with great reviews going around and general confidence in the project. Would not say there is a crazy hype with a slight lack of marketing and telegram being the only active avenue really, however there is a FOMO build up in the VC space and the hype is building amongst the general community. This section is being penalised due to the lack of media presence currently. With the project ICO expected in August and the social media being new this could very well be increased in the future. The hype is steadily building along with awareness and demand for the project and efforts to improve media presence and PR has started to pick up. Keep an eye out, this is definitely a project to watch! Use of proceeds towards is as below and subject to change. The aim is to use funds on developing and advancing the technology and partner ecosystem aspects of AERGO. A Token distribution report will be released shortly, with private sale bonus rate, amount sold and Vesting periods. The current timeline sees AERGO SQL being in the market currently as COINSTACK SP2. The AERGO Chain Alpha platform is expected in q3 2018 followed by the test network in 2018 Q4 and public network 2019 Q1 – 2019 Q3 Aergo Hub and Marketplace. Frequent releases of key parts of the AERGO platform are intended to be announced gradually. Beta 2018 Q3. Test network to be released in Q4 2018 with Mainnet Q1 2019. The public repository hub and marketplace for business and developers is due for Q3 2019. Lacking a bit of information regarding Hardcap and Softcap and token metrics which will be confirmed soon. Based on certain news going around of $0.20 Token Price a hardcap of around $20-30m depending on bonus round (30% of 500m Tokens at $0.20) seems quite high, especially in a bear market, however the project is tech heavy and will require a large amount of development and work with its 3 functionalities. Good transparent breakdown of funds and usage of ICO funds. Large portion towards Research development and marketing which we like to see in a business progressing post ICO. The roadmap seems viable and we will see real technology and application soon, with the Hub and Marketplace coming later. The timelines for the Mainnet end of 2018 and beginning of 2019 is promising, the hub and marketplace are a bit stretched. It should be on track to reach the market and the execution plan outlined in their whitepaper is promising. Will be good to see the confirmed bonus amounts, vesting periods for teams, advisers and strategic investors. The only negatives here would be the high hard-cap (Not-Confirmed) when we are in such a bear market along with the hub and marketplace timelines being a bit stretched and in the future. BLOCKO’s (COINSTACK) Influence on technology, marketing, adoption and support we believe will prove to be priceless. The experience of BLOCKO and it’s links particularly in the Korean Market is large and influential along with most team members being a part of the BLOCKO team and have experience in successfully executing a similar project. The development of technology with Coinstack as a base is promising. We view this will have a large impact on its adoption and growth and well worth to be considered for few extra points. Overall, the project is looking great. Its team is very strong and has great depth in both tech and business experience. The link with BLOCKO and Coinstack we believe will be very influential on the success of AERGO, particularly in the South Korean market. We love the idea of the easy to use and accessible platform for enterprises with current solutions being complicated. The competition however is great, and it will be in no way an easy mission to overcome. 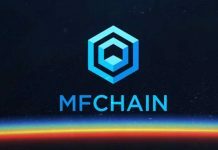 The roadmap is timely and viable with the Mainnet expected to be released within a few months of the crowd sale. We are very impressed with the business whitepaper, Technical whitepaper and smart contract white paper all released in a timely manner leading up to the crowd sale. The two main downfalls at the moment is there being no Prototype/MVP and GitHub to assess along with the lack of marketing and social media. 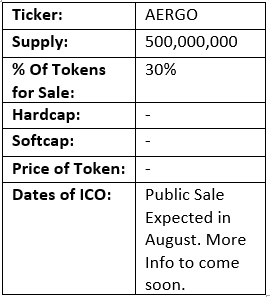 With AERGO’s key differences and advantages over other platforms, The AERGO Hub and Marketplace, Success of competitors in a similar space and the sold out private sale, we believe AERGO will see strong support and growth in the months to come! Keep an eye out on this project. Next articleCoinbase finally ready to list Ethereum Classic?